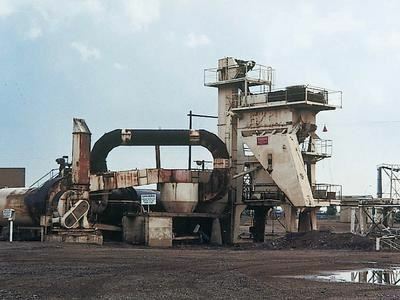 Asphalt plant: Standard Steel RM. Asphalt concrete is produced by combining aggregates and asphalt, usually under extreme heat. Finished product is loaded into dump trucks under the tower.